My father keeps telling me NOT to be so honest about getting depression or taking medication or going to a shrink. He thinks it will affect my chances of getting married. But at a chronically single 36 years, I think it’s safe to say many more extenuating factors are at work there. There are two reasons I have always been brutally honest about having had depression. 1. As a journalist, at my core is always a hankering for the truth, telling the truth and being unafraid to do so. Morally speaking, I would be a hypocrite if I expected other people to tell the truth about their lives but didn’t apply the same principle to myself. I am not suffering from depression now and have been depression-free for a nice long break. But there are plenty of days I come home from work in the newsroom and feel very down. But, if you do some research you will find that clinical depression is different from having a bad day, which all of us encounter several times a month. The problem is when it lasts more than a few weeks and is accompanied by other symptoms. And people who breezily declare they’ve never had depression in their life are probably lying. I am writing this today because I met a young woman B this week who had no idea she was suffering from postpartum depression after having a baby. Her husband is a friend of mine and he brought her and the baby over to my house for a cup of tea. We chatted for a bit and then I realised slowly that she was just sitting colourless, with a drained face, on the edge of the sofa, away from her husband and baby. I inquired if she was feeling alright and the floodgates opened on how ill she was. As she went on, I realised just how deeply depressed she was. She was spiralling and her marriage and mothering was being affected badly. 1. No one can help you with your depression. You have to do something about it. Depression scares people; they don’t know what to do about it. They will talk to you for one time, two times and then they will get frustrated and start avoiding you. Your husband cannot fix your depression – even if you think he is the cause of it. B was blaming her husband and in-laws for her depression. The outcome was that her husband got sick of hearing he was the cause of her depression and any motivation he had to help her dissipated. 2. Anti-depressants are not addictive. And if you take them you can get off them easily. So many people make the excuse about not going to a psychiatrist because they know and assume they will be prescribed medication. This makes them feel that they are succumbing to a drug that they will have to take for life. That is not true. I have taken anti-depressants ranging from Prozac to Seroxat. They take about three weeks to kick in and when you think you don’t need them anymore the doctor will gradually lower your dosage to take you off. The science of anti-depressants has advanced and the best thing to do is ask your doctor about the side effects or possibility of getting addicted if you are worried. The anti-anxiety pills are entirely another ballgame. They CAN be addictive. I am talking about Xanax and Lexotanil. It is dangerous to take them on your own without a prescription because they can actually have a downer effect, which will make you feel worse. 3. Just taking a pill won’t necessarily fix your problem – talk therapy is needed too sometimes. There are roughly two types of depression I have experienced: chemical and situational. If I have been in a prolonged crappy life situation it has led to depression. Sometimes we are stuck and can’t change or remove people or conditions that are depressing us. In that case we either have to learn how to adjust or extricate ourselves. The chemical depression, as I call it, is linked to the ‘happy chemical’ called Serotonin in my case. As it would not circulate long enough in my bloodstream, I had to take SSRIs (Prozac etc), which are Selective Serotonin Re-uptake Inhibitors. A very low dose has always worked for me. During several times in my life I was so deeply depressed that talk therapy wasn’t going to work alone because the chemicals were all messed up. So I started taking a medication and combined that with Cognitive Behavioural Therapy (CBT) to get better. I swear by CBT. The medication takes the edge off the blackness and helps you work with a psychologist to figure out how things can be fixed. Just to be clear – psychiatrists prescribed medication and psychologists don’t. They offer therapy. And going to either of them doesn’t mean you are crazy. Of the two people I sought help from in Karachi, one was a psychologist with a PhD in counseling psychology from an institution in California and the other is a psychiatrist with qualifications from Brown University. 4. Some lies people tell you. People mean well but in my experience there are certain things that won’t help alone with depression if you’ve got it bad. When I used to be depressed people would tell me that I wasn’t grateful enough for what I had in life. Or that at least I wasn’t blind, or missing a limb. According to their reasoning, if I would just be grateful enough for what I did have, my depression would go away. First of all, I am grateful for what I have. But there are certain things I want in life that I feel I can’t get. Everyone experiences that. This is not linked to my depression as my well-wishers tried to convince me. Depression is far more complicated a phenomenon to just go away by saying ‘thank you’. I can be grateful and depressed. From time to time I suffer from existential dread: meaning, why am I here, what am I doing, what’s the point of all of this. I get anxiety, high levels of anxiety, about my parents dying, me staying single for the rest of my life, not being able to financially support myself. Never being truly loved. Becoming redundant at work. Persistent anxiety can drill a hole in your head, and be linked to depression so sometimes it is a good idea to meet a psychologist to get proper perspective on them. Second, people tell you to pray and meet friends for coffee and your depression will go away. The truth is that these two things IN ISOLATION are unlikely to totally take your depression away. I use prayer, namaz, Zikr and Tahajjud, in COMBINATION with therapy and medication. I rely on a network of friends to get support. Yes, miracles do happen, but if you are depressed and going out of your mind, do yourself a favour and see a doctor as well. And to use the cliché, you’d see a doctor for an infection, so why not for depression? If you read up on depression you’ll find that the more you leave it unattended, the worse it gets. It affects the brain the long run. It affects your relationships, work, self care, ability to exist. Some people think of suicide but are too chicken to actually go through with it. That is called suicide ideation and it is a hellish place to be in. You are stuck in limbo, miserable, desperate, isolated and unable to do anything. When depression has crept up on me, I have barely noticed it. That’s the hard part. Then I found I couldn’t get out of bed but the more I lay there the more my self loathing grew. I was not able to go to work. I hated everyone at work. I had anger. I hated myself. I hated the world. I couldn’t read, couldn’t watch films, didn’t go for pedicures or haircuts. I felt cursed. The beast clung to my back. I am sorry if any of you reading this are depressed. I wrote this for you. I know how bad it can get. I know that people don’t understand. I know you feel it will not end. But listen, the Cold War ended, so will your depression. You are not crazy, just not well. It takes a lot to be a ‘crazy’ person. Make an appointment to see a doctor and grab a rickshaw and go see them. Your first try might not seem like it will make it instantly go away, but understand that you have to keep at it. Ask your doctor about medication and therapy. The sessions can be expensive, the highest I have paid is Rs2,500 per hour. But she was damn good. The medication will cost Rs1,000 plus per fortnight and it varies. I saw my last therapist for three years. It takes time. I could have bought a lot of shoes with that money I spent but I would have never enjoyed them. Depression goes away. But you have to do something about it. And even if you’re really at the bottom of the barrel, make that appointment. Government hospitals have Psychiatry wards but they are usually places you wouldn’t want to go. Instead your best bet is to approach a large private hospital you personally trust and ask what their mental health department offers. Ask for a list of doctors. Getting an appointment with either a psychiatrist or psychologist can take weeks, so be patient. Feel good about making the first step of making one. Better than dying in bed, I said to myself. If they ask which one you’d prefer, just say anyone who can see you quickly. If you cannot explain to your family or have the money to go, try calling a hotline (see below). Sometimes your first appointment doesn’t go well, don’t panic. You should tell the doctor what the problem is, what you think it is at least, where you need help and ask them what they can do for you. Ask them how they can help you. Here is a short list of places that offer help. The Pakistan Association of Mental Health helps people at their free clinic. Walk in and ask for an appointment. Medication is also free. But I make a donation when I go to help them. A journalist based in Karachi, Pakistan. She has worked as the city editor at The Express Tribune and Daily Times, and now writes long form investigative and explanatory pieces on Karachi’s civic and urban infrastructure with a focus on transport, public spaces and water. Brilliant blog. I think people who have suffered from and conquered depression can truly tell how insightful this piece is. I hope it can help readers who need help. I feel many who don’t take depression as seriously, even in others, lack emotional awareness. I have found that it almost a macho thing. Sometimes the tunnel seems like it has no end in sight, but there is always hope. Just talking to a professional can help you gain perspective and a new lease on life. We take the time to attain physical fitness, so why not fitness for the mind? BTW, Karwan-e-Hayat has a booth at Millennium Mall near Johar in Karachi with psychologists for the next few days from 12 to 8pm. Good in what way. Did she tell you something that you did not know already? Talk therapy is about working with your mind, how you think, what you think, your beliefs, your imagination. Sorry, I know I am posting a lot here, but aside from prayer, meditation can be a huge help. There are a lot of meditation centers in Pakistan that provide help for free. Meditation isn’t dependent on religion. At the meditation center I went to in Karachi, the majority were of Muslim backgrounds. Postpartum depression is some thing totally different from garden variety depression. Most people who are close to the woman suffering from postpartum depression know there is some thing wrong with that woman. Such women need to be seen by a psychiatrist. Advice does not work with them. Awesome article I must say. Being someone who has also experienced severe depression and ocd, I know how it feels. You have described it quite well. My two cents: doctors and medicines do help. But the real victory against depression and other mental issues comes through self talk and will power. Talk to yourself. Talk to your inner soul. Make it your motto to stay happy no matter what. Align your heart, body, mind and soul. Happiness comes from the inside my friend. Learn to appreciate the way life is. Adapt to it. Make an effort to get what u want. But don’t get discouraged or depressed. Beaten, and humiliated by parents. Had troubles with bullies at school.. Friends who betrayed me… Luck that plays with me…. Thank you for sharing your story, for breaking a social stigma that we Pakistanis hate to admit. The lack of education pertaining such conditions is what leads to the development of a frivolous attitude towards diseases that could, and have already taken many people’s lives. I hate to repeat this over and over again, but EDUCATION is the ONLY SOLUTION to such issues, and collectively as a society we must work to educate each other, not just rely on governmental help and support. Your article is an example of a step forward. Now we must make further steps towards our goal of a healthy, balanced, educated society. Hi I know you don’t like recommendation, but being a medical professional who has seen women being able to overcome chronic depression after decades, and saying it changed their lives….so I cant help but suggest, give yourself a chance. All the past trauma can’t be undone, but the hurt that it creates will instead help you regain strength. Our people (may be not all but most of them) don’t encourage psychiatrist because of the stereotypical reasons. My depression got worse when I kept ignoring it. I started digging some basic information on the qualified psychiatrists and eventually payed a visit to one of them. The medication costed me a few Ks per month but to be honest, it really did make a difference. It got my high blood pressure back to normal… Which I couldn’t do with the medications that I have been taking for months prior to my visit to the psychiatrist. That doesn’t mean I was taking wrong medication, that just means that the core reason behind my high bp was the depression. And yes, you are right. My anti-depressants weren’t addictive at all. I know that because I haven’t been taking them for a while now. I wanted to check if I could live normally without them and I am glad I got the positive results. BRAVO! First of all I must say thank you to her for such a wonderful blog ,full of information and very thought provoking. I have learned a lot out of it as my personal requirement. Its very true that its us who has to take care of ourselves no body even bother to take a pain so please consider yourself important and understand the worth of your life , take initiatives for your betterment which is only possible by giving yourself a time -a moment alone to discover yourself. Once you start finding problem or issues you will have a better solutions. Article and follow up comments show the web is alive & more itneractive, serious, interesting, relevant and important stuff gets attention somewhere else, in blogs, not in so called mainstream. @ Madam – Can you try Yoga & meditation (provided your religious preferences allow you)? 1. Everybody expects quick results and Yoga may or may not yield quick results, hence most people drop off. 2. Folks don’t do it the right way and the practice doesn’t yield the right results (due to lack of qualified teachers). 3. It was ignored since this was seen as a native/old man’s/unfashionable exercise. As with everything else, folks in India are now starting embracing it after the West confirmed it (our fascination and blind adorance of the West never ceases). 4. Depression can occur due to psychological reasons (trauma, conflicting emotions, experiences, irrational fears lodged in our psyche) or anatomical reasons (lack of certain chemicals, neurotransmitters in the brain). Depression due to the earlier causes can be healed by Yoga, meditation, pranayama (energy breathing). Depression due to later causes can also be cured, since it helps rewire the brain and due to the fact that our mind and body are connected and affect each other. Yoga works directly on the psyche and subconscious of an individual, eradicates ‘bad’ or ‘unnatural’ and conflicting thoughts/emotions, calms the mind, restores balance, puts us in touch of our real selves, our subtle energies. One has to read the story and interview of Matthew Sanford who was asked to ‘forget his lower body’ after an accident left him a paraplegic. His life was restored (though no fully cured) by Yoga. Thank you for writing such an honest article to enlighten the people of pakistan regarding depression. 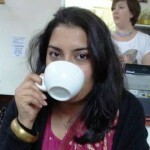 I am a psychiatrist currently working in the UK but have my roots in Karachi, Pakistan . I have been trying for quite some time to talk about psychiatry to people I meet from that part of the world but very rarely do I get a positive response other than ‘”you are a doctor catering to crazy people”. I am glad that you can approach the masses and inform them in such a way that actual may get them to ponder over this issue and do something about it rather than to struggle through such an enduring illness as they are so many treatment options both pharmacologically as well as therapeutically. Keep up the good work and please feel free to ask me any questions regarding depression or psychiatry in general would be a pleasure to help. Also if you were to undertake any programmes regarding awareness of Psychiatry in Pakistan please do let me know I would be more than willing to participate. Prolonged use occurs because so called professionals fail to change the behavior of the patients, making patients more and more dependent on drugs by increasing dosages or changing drugs. Some time placebo can be as effective as a drug for treatment of depression. I have a feeling this is true for many psychological illnesses excluding ones that have psychotic symptoms. I just read this statement from director of NIMH, USA. Easiest things to do in this world is to give advice to others. Most difficult thing in this world is to take advice from others. Every one basically thinks he/she knows more then most people he/she knows. “I know every thing” is a hindrance to changing oneself. I have a feeling most people who suffer from depression are likely to have higher IQ. If one can accept some thing, it should not bother them as much. You still fighting it daily. Listen to good music before yo go to sleep. Use headphone if you have one. @Mr. Lonely: I wanted to check if I could live normally without them and I am glad I got the positive results. @I-can-so-relate: This led to having persistent anxiety at times that I couldnt shake off, no matter how many times I went out for coffee with friends. You went out but your mind stayed with the same thoughts, same fears. Every one has fear(s). Public Speaking is number one fear, Fear of death is number 3. Your anxiety will leave you once you over come things you fear. Did you have a bad childhood? A few clarifications – when I said too chicken to commit suicide, I meant too scared to do it even if you really ‘feel’ like it. I was not belittling it by using the idiom, just trying to lighten the mood. I write like that. There are people who get stuck in that hellish place – that was for them. Trying to kill yourself is a complicated issue and I’m not qualified to say much more on it. I’ve been around people who have attempted it several times. There is nothing more fun than having to mop blood off the floor or hold a flap of flesh up to stem the bleeding because they’ve slit their throat. I salute your courage. You have helped a lot of women. Well married people have problems too. Many women get abused by their husbands and their families. Many people divorce, it can be specially hard if a woman has kids to take care off. People who have little money have problems, people who have millions of dollars have problems. Michael Jackson had all the money in the world but needed drug injections to go to sleep. Elvis Presley died of drug overdose. Marilyn Monroe committed suicide, every man thought she was the most beautiful woman. Every ones parents die. If you think about it every day, do you think you can prolong their lives. If you think it all the time, you just going to be very anxious, but it will not change anything. Or you can think, life and death is in God’s hand, let me do the best I can for my parents. You choose to think “staying single for life” instead on working to find a friend/husband. There are many men looking and thinking the same as you. You may or may not be able to support yourself financially, but you choose to focus “what if not being able to support yourself, why not work your financial conditions. If you have house, you can have paying guests. this is one of the most informative and motivating blogposts i have had come across, its worth a read! Based on what I read, a depressed person is unable to find pleasure in the activities he used to enjoy before. Their pleasure circuit in the brain is totally messed up. and you cannot will yourself out of clinical depression. Clinical depression is a kind of brain disease. The term ‘depression’ is misleading as it tend to trivialize this disease. Yoga can help to lessen the symtoms (or cure in some instances) of mild depression, but moderate to major depression requires professional help. You can google Yoga and GABA. Yoga elevates the level of anti-anxiety neurotransmitter called GABA. The activities you mentioned like shopping or driving might help in some cases, but the key is to take some action in the first place. Jogging or running works for some people. @GIndian: Based on what I read, a depressed person is unable to find pleasure in the activities he used to enjoy before. Their pleasure circuit in the brain is totally messed up. and you cannot will yourself out of clinical depression. Clinical depression is a kind of brain disease. The term ‘depression’ is misleading as it tend to trivialize this disease. Yoga can help to lessen the symtoms (or cure in some instances) of mild depression, but moderate to major depression requires professional help. You can google Yoga and GABA. Yoga elevates the level of anti-anxiety neurotransmitter called GABA. The activities you mentioned like shopping or driving might help in some cases, but the key is to take some action in the first place. Jogging or running works for some people. @GIndian: Their pleasure circuit in the brain is totally messed up. and you cannot will yourself out of clinical depression. Clinical depression is a kind of brain disease. The term ‘depression’ is misleading as it tend to trivialize this disease. I just searched net for clinical depression, I found an article by a psychiatrist who works at Mayo clinic. According to him clinical depression can be helped with psychotherapy alone or psychotherapy and drugs in some cases. Psychotherapy can not fix “pleasure circuit”. I don’t know where you get the idea of pleasure circuit being messed up. Our thoughts change our body chemistry temporarily. Body and mind work together. For example depression/anxiety can make one tense, cause body ache and various other physical symptoms. Doing physical things like yoga, jogging, exercises can help by helping you feel better physically there by mentally too. a new technique called Transcranial Magnetic Stimulation….I checked….it helps 50% of depressed people and 1/3rd go back to their old ways, according to one clinical study. Any therapy to be effective for long has to help change the patient’s way of life. Studies have shown sugar pills (placebo) are as effective as many drugs used to treat mild depression. When new drugs are tested one group or people get real medicine and the other group gets pills that look like real medicine but have no real medically active chemical in it. This also shows there is no circuit problem. MIND plays most important role is psychological problems (with exception of psychosis). One’s imagination can be one’s best friend or one’s worst enemy. There is no blood test or neurological test to determine “clinical depression”. @Sab33N: .. I do agree with you that people who commit suicides are not cowards because it takes real courage to take one’s own life ..
Real courage is to fight imaginary fears that want you to end life. @GIndian: There is a wonderful book written by Martin Seligman about the topic Learned optimism. It is a good read. @annie: Can you repeat it 10 times every night before you go to sleep “I am not depressed, I am just not happy”. Worry results when we think we can handle our problems without God’s help. It is a mistake to think we can handle the small problems and let God deal with the major worries. Small worries can mushroom into major proportions without relying on God’s assistance! “SOME LIES PEOPLE TELL YOU”, i was nodding to every single word in that section! However, there remains one grave issue, ignorance of those around you. family, friends et all refuse to recognize this as a “real” problem! “I can be grateful and depressed” ~ This, exactly. I tell people this and they look at me like I have three heads.